hand tool into a Torque wrench. Simple to operate. The “TM” series of electronic torque meters can be attached between any wrench, driver or non-impact power tool and the threaded fastener drive socket. 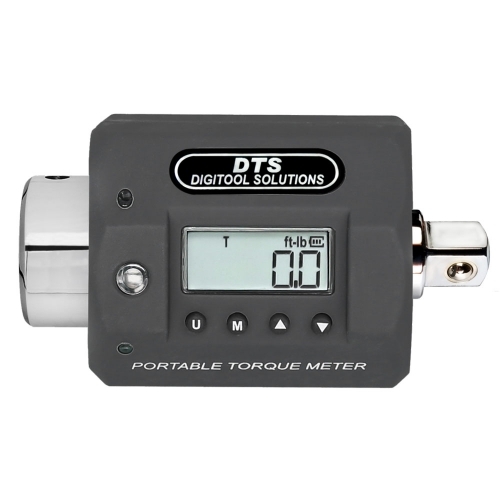 Its digital display and intuitive user interface make torque settings quick and simple. The large 4-digit LCD display provides units selection and instant conversion between “in-lb”, “ft-lb” and “Nm” torque values. Accurate real-time monitoring of applied torque is made while the meter is rotating with the fastener. Its in-line torque transducer eliminates hand-hold position error that are typical of most torque wrenches. The meter provides a tri-color LED indication for early warning and over-torque conditions as well as audible and tactile alerts when the preset setting is attained, thus allowing the user to keep his eye on the work. These meters use a conveniently replaceable 3 AAA Alkaline batteries and feature the Digitool Solutions’ Extended Power Technology allowing up to 400 hours of continuous operation. 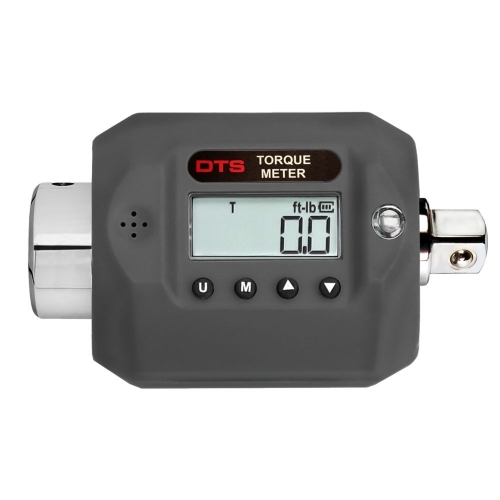 The TM electronic torque meters provides a low-cost technology update to any tool box. It’s ±2% of reading precision, in both CW and CCW directions between 10% and 100% of full scale and exceeds the requirements of most manufacturing, industrial, off-road and automotive fastener specifications. Torque settings between 5% and 100% of full scale comply with the ISO 6789 2003 and ASME B107-28-2005 (Type 2) Standards. The meters are provided with a calibration certificate including a statement of N.I.S.T. traceability.